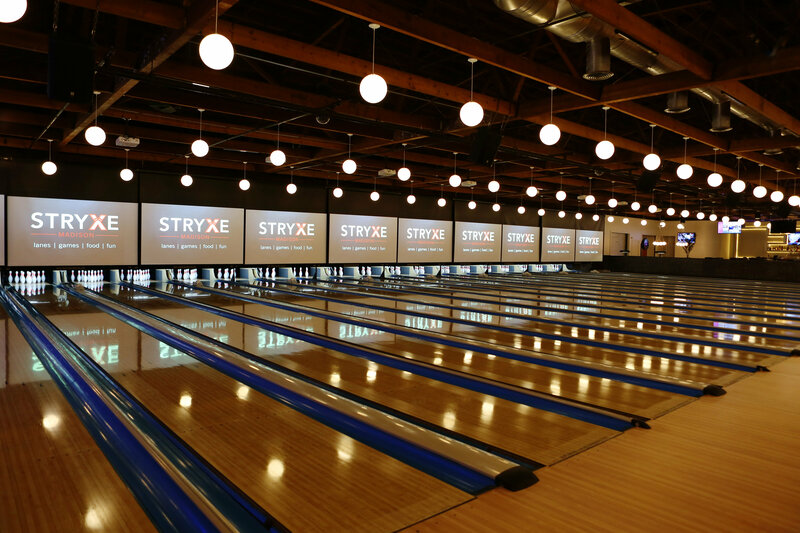 Forget everything you think you know about bowling – because bowling at STRYXE is not just a game, it is an experience. flat screen TVs, and 100" projection screens above the pins. Ten-frame bowling is a classic, but do not be afraid to spice things up and play one of more than 30 interactive variations with plenty of twists and turns. 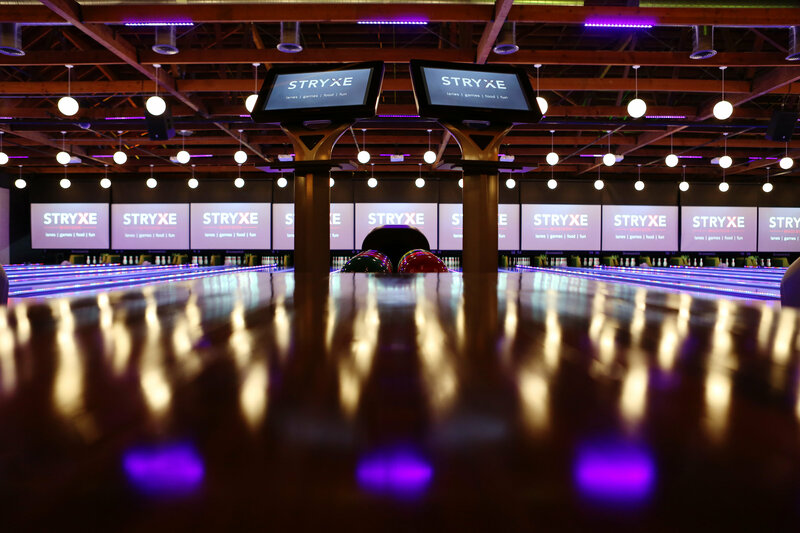 Children and adults alike can customize their bowling environment with themes, photos and live chat between lanes. Complement your game with plates, wood-fired specialty Tabisca style pizzas and cocktails lane side.